Kurt Kren: Born 1929, died 1998 in Vienna. Starts making experimental 8mm films in the early fifties. 1957 takes up 16mm and serial montage techniques. 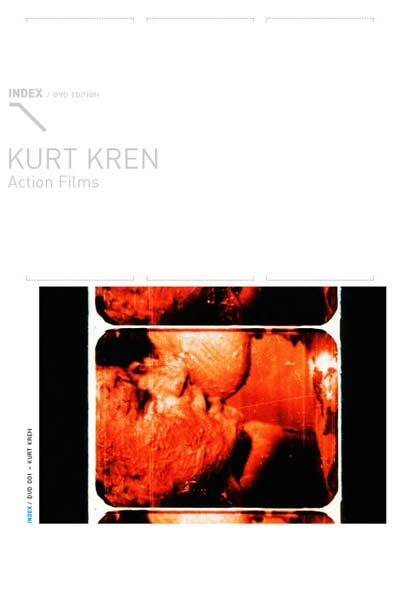 From 1964 onwards Kren collaborates with the Viennese Actionists Otto Muhl and Gunter Brus. Co-founder of the Vienna Institute of Direct Art and the Austrian Filmmakers Cooperative. Member of the Wiener Secession, the Vienna Institute of Direct Art (1966), the London Filmmakers Coop (1967), the New York Filmmakers Coop (1968), the Progressive Art Production Munich (1968), the Grazer Autorenversammlung (1973). For private domestic use only. Any unauthorised copying, hiring, lending or public performance of this DVD is illegal and subject to criminal prosecution.